With the constant increase of city population and the improvement of domestic sludge processing ratio, the output of municipal sewage and sludge is growing. Citizens pay more and more attention to the environmental pollution of municipal sludge. Municipal sludge is a kind of complex an-isotropic body which contains organic debris, bacterial cell, non polar particles and colloid. There are much toxic, harmful and difficultly degradable matters contained in sludge such as nosophyte, parasite, heavy metals, salt, polychorinated bipheny, dioxin and radioactive nuclide. There are much attached water and bound water contained in the sludge. Although sewage treatments plants have adopt vacuum filtration and centrifuge dehydration, the moisture content of sludge is still over 80%. Owing to the physical and chemical quality of sludge, the complete harmless treatment of sludge is pretty difficult. It has become a difficult task for the whole world. High risk still exists in present disposal methods such as landfill, farm-oriented and incineration. A great amount of cost must be paid in order to achieve complete harmless disposal. As heat source of sludge drying process, waste heat and flue gas from cement plants has strong restriction for drying sludge because of low temperature and much dust content. With the dryness of finished products, the needed volume for sludge drying equipment increase exponentially. 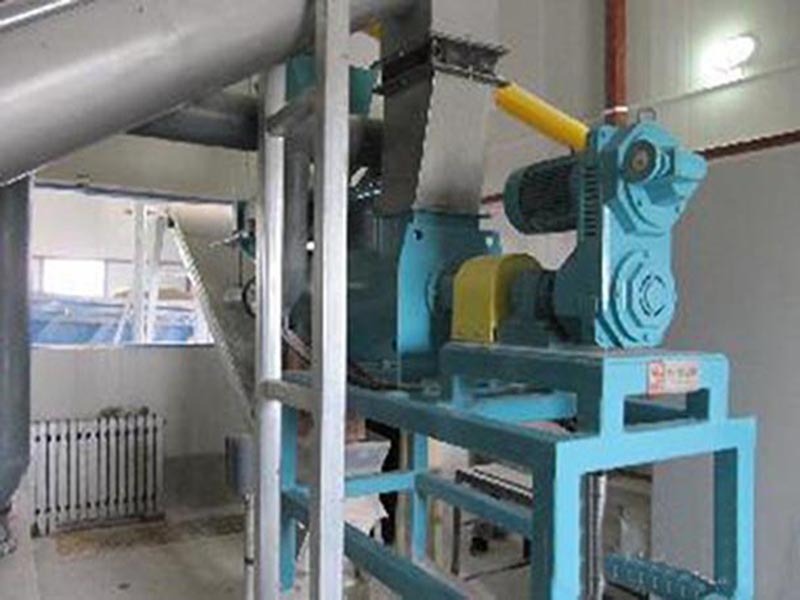 There is a strong connection between the economy of sludge drying and the dryness of finished sludge. the quality of heat source decides that only semi drying model can be used for drying sludge by using waste heat from cement kiln. The project holds obvious disposal capacity. There is a direct connection between the fuel replacement capacity of dried sludge, sludge moisture content and content of harmful elements. Lowest cost for disposing sludge can be realized by taking advantage of science to analyze the biggest disposal capacity and economic disposal index. At present, there is no existing research for reference. Foreign countries adopt full sludge drying to replace fuels in many industries. At present, there is no application that sludge replaces fuels at home. As a result, dried sludge can only be absorbed by cement plants. If semi drying system enters into cement kiln process, brand new design will be needed. The drying is a key technology of sludge disposal by using cement kiln. Much attached water and bound water are contained in sludge. Although sludge treatment plants have adopted vacuum filter and centrifuge dehydration, the moisture content of sludge is still more than 80%. 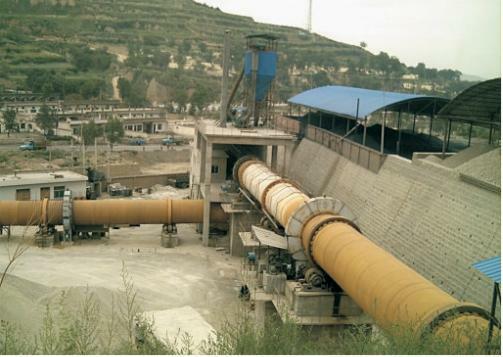 By using cement kiln to dispose sludge, the most difficult task is that sludge must be dried. Supported the moisture content of sludge is 20%, 4-times moisture needs to be evaporated for disposing one ton solidity. Under the same handling capacity of total dry sludge circumstance, the more solidification contained in sludge entering cement firing system, the higher the effective thermal power (leave the water evaporation in the process of cement incineration alone; leave the heat consumption of the temperature rise of flue gas formed alone) will be, the less influence on the stability of cement system in the process of burning will be. As a result, the choice of drying industry is a key problem of this project. This project makes use of waste gas and residual heat as heat source. It summarizes a new type drying system with higher thermal efficiency and wide application range based on fluid bed, thermal crush, whirlwind and classification technology. At a proper injection speed, waste gas and residual heat enter mixing and crushing drying chamber from the bottom of dryer, which will produces strong shearing, blowing and rotation force. Then materials will be micronized by these forces. Specific area will be formed and heat and mass transfer will be strengthened. At the bottom of drying chamber, bigger pellets with less moisture will be crushed by the drive of mixer. Dry surface of these pellets will be formed constantly after being surrounded and crushed by hot air flow which is injected in high speed. Small pellets with less moisture will be raised by rotary air flow. In the process of rising, these pellets will be further dried and classified. The cone, air wall erosion and mixer structure will force materials surrounded by high-speed air flow. As a result, this system is suitable for processing sticky materials. The drying process of materials mainly occurs in swirl region and reaches to balance fast. With the drive force of centrifugal swirl region, the speed of heat exchange between air and solidity is very fast. The drying time of materials is very short, which can greatly cut down the specifications of equipment. Pelletizing will be finished in the process of drying. There is no need for crushing work. Materials are crushed, washed and collided, the surface is increased and drying is strengthened. 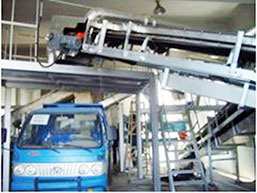 Owing to the fast drying speed of drying system, the average staying time of sludge is about 10 seconds. The moisture content of sludge will drop from 80% to 30%. The temperature of sludge with 30% moisture is about 50 degrees centigrade when the sludge leaves the dryer. The temperature of flue gas reaches to 277 degrees centigrade while the flue gas enters the dryer from the bottom. The temperature of flue gas will drop below 100 degree centigrade while it arrives at sludge adding port. In the process of drying, there is almost no contact between dry sludge and 277-degree centigrade hot flue gas, which ensures safe running. The performance density of sludge pellets has close relation with moisture content. Under the classification action of rotary air, dry sludge always contacts with flue gas at low temperature. There is no direct contact between hot flue gas and dry materials. 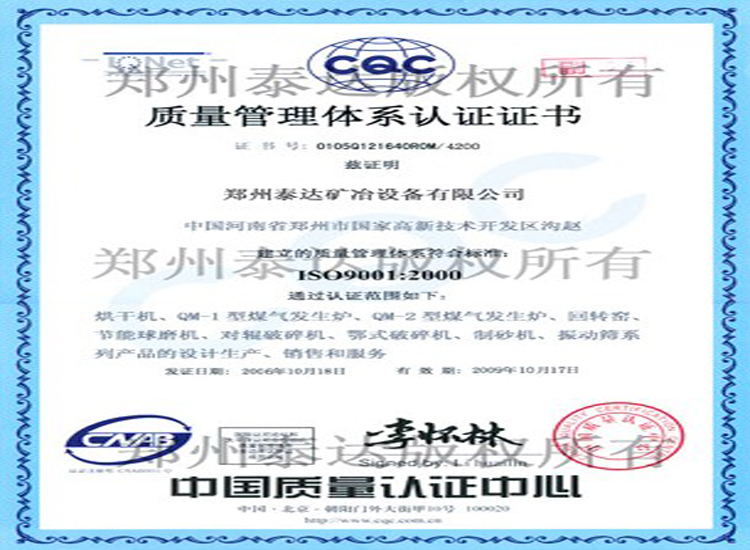 From the year of 2007, Taida drying equipment co. ltd has been focused on researching on sludge harmless disposal project by using cement kiln. Cement kiln holds advantages such as large incineration space, long incineration staying time, large disposal scale and no secondary slag emission. The moisture content of sludge from sewage disposal plants is about 80%. Establish a drying pretreatment system at cement plants. The moisture content of sludge will be dried to below 30% by using waste heat (about 280 degree centigrade) of exhaust gas in preheater. The sludge with 30% moisture content has become bulk materials which will be sent to decomposing furnace for incineration by conveyor and feed equipment. There is a material scattering plate set at feed mouth of decomposing furnace. Bulk sludge will be scattered in hot airflow by the scattering plate. Owing to large hot melting, high temperature of decomposing furnace, sludge can be burnt fast and completely. Sludge ash after being burnt will enter the kiln with materials for incineration. Generally, the temperature of rotary kiln is between 1350 degree centigrade to 1650 degree centigrade, or even higher. Burning air stays in here for more than 8 seconds. When the temperature is over 1000 degree centigrade, burning air will stay for more than 3 seconds. The total staying time of burning air is about 20 seconds. The materials in kiln present high turbulence states. So harmful matters contained in sludge in kiln can be fully burnt. Buring rate can reach to 99.999%. Even stable organic like dioxin can be completely decomposed. Because the feed point of dry sludge is located at decomposition furnace whose temperature is over 850 degree centigrade. The large and stable heat capacity in decomposition furnace can effectively restrain the formation of dioxin. 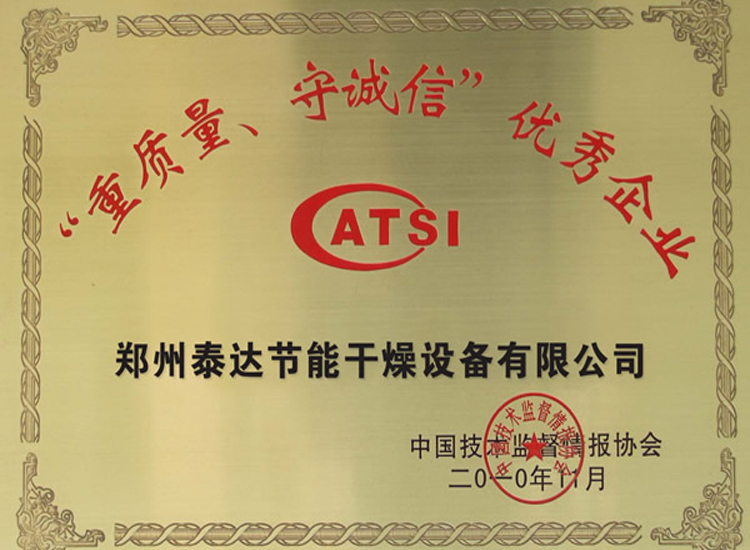 According to the practices of disposing toxic and harmful matters at home and abroad, the emission concentration of dioxin produced after the incineration of wastes is much lower than emission limit. Ash and dust discharged by incineration will enter rotary for incineration as cement raw materials after being collected by bag dust collector at the end of kiln. There is no dangerous waste and fly ash produced in the process. The refractory bricks, raw materials, kiln coat and clinker are alkalescent which can absorb SO2 and restrain the emission of SO2. In the process of cement incineration, heavy metals contained in sludge ash can be fixed in the structure of cement clinker. Then the solidification function can be realized. The organic and inorganic ingredients can be fully made use of. Some organic matters contained in sludge (over 55%) and combustible ingredients will produce thermal in the process of incineration in cement kiln. The lower thermal value of sludge is about 11 mj/kg. 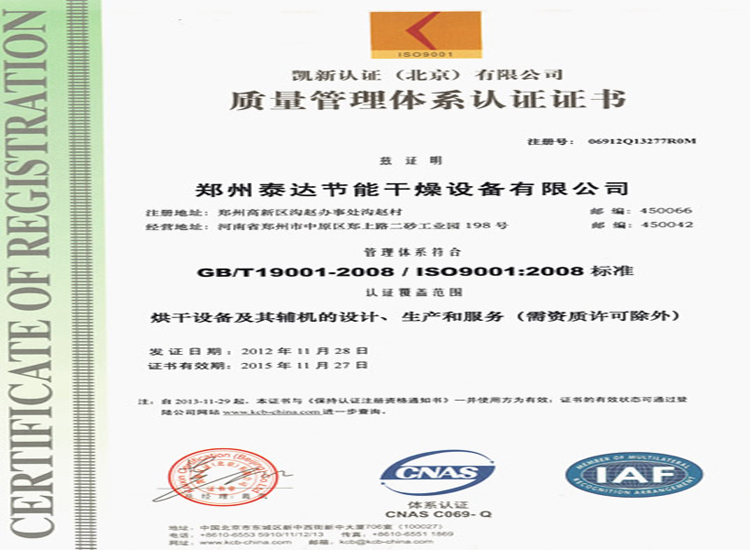 It is equivalent to lean coal according to the sense of thermal value. There is 55% ash content and 10% to 15% volatile matters contained in lean coal. The thermal value is 12.5 mj/kg. 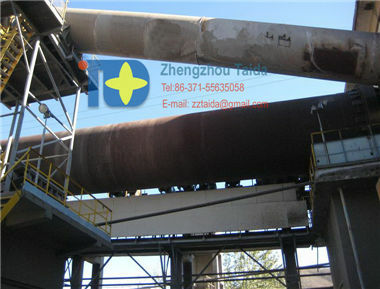 The production capacity of cement is very big, so great amount of sludge is needed. Cement plants are spread in a very wide range, which is beneficial for disposing sludge on site. Transportation cost is saved. 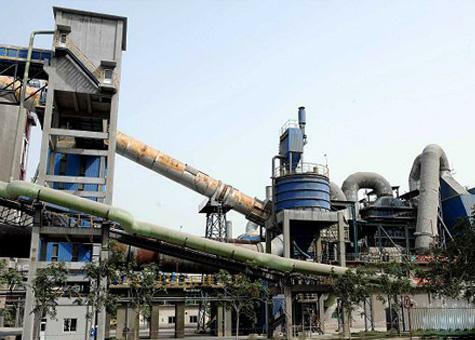 Cement kiln holds advantages of high heat capacity and stable process. It is very convenient and effective to dispose sludge with cement kiln. This project can handle 600-ton municipal sludge per day. Sludge is dried by residual heat of exhaust air in cement plant. Dried sludge will enter cement kiln for incineration. This process can not only supply thermal quantity needed by drying sludge, but also can reduce the consumption of coal. When incineration is carried on, thermal value of dry sludge can be used as replaceable fuel for cement clinker production. Incinerated residue can be worked as the replacement for clinker and used to produce siliceous and aluminum raw materials. It is sludge recycle project. The implement and construction of this project means much to the re-utilization of municipal sludge. Meanwhile, these project responses positively to our country’s request to vigorously develop renewable energy. It is in accordance with our country’s strategy to actively carry out and develop renewable energy. From the year of 2009 till now, Taida has designed sludge disposal system with the cooperation of cement kiln for many areas, which realizes the harmless disposal and resource utilization. Wet sludge is sent to wet sludge storage bin by sludge vehicle. Then the sludge will be sent to dryer. Exhaust gas produced by AQC furnace, SP furnace and back pressure steam turbine works as heat source. After entering dryer, wet sludge will be turned and stirred by the slow rotation of disk. Heat surface will be upgraded constantly. Sludge will get fully contact and exchange heat with heated machine body and disk, the surface moisture contained in sludge will be evaporated. Meanwhile, with the drive of guide mechanism, sludge will be sent to discharge port. Mixing will be carried on during the process of conveying, which makes sludge dried. Dried sludge will be discharged from discharge port. Then, the sludge will be sent as auxiliary fuels to cement rotary kiln for incineration. Steams will condensate after exchange heating with wet sludge. Then steam will flow to boil system by hot water circulating pump for cyclic utilization. A certain amount of tail gas will be produced in the process of sludge drying. The tail gas mainly consists of steam. After being condensated and dehumidificated, tail gas will be led to cement rotary kiln for incineration and deodorization. This project adopts a brand new technical route. It makes full use of after-heat and handling capacity, which realizes the handling cost of municipal sludge. Aims of stabilization, reduction and harmlessness and reclamation can be achieved, which solves the problem of municipal sludge disposal which bothers citizens for a long time, find a practical method and provides effective models for sludge disposal and utilization. This project can not only produce great social effects, but also can save resources and completely eliminate the great environmental cost produced in the process the sludge harmless disposal. The hidden danger which threatens citizens’ health in city life can be avoided, which makes ecological environment and resource re-utilization go on the road of sustainable development. 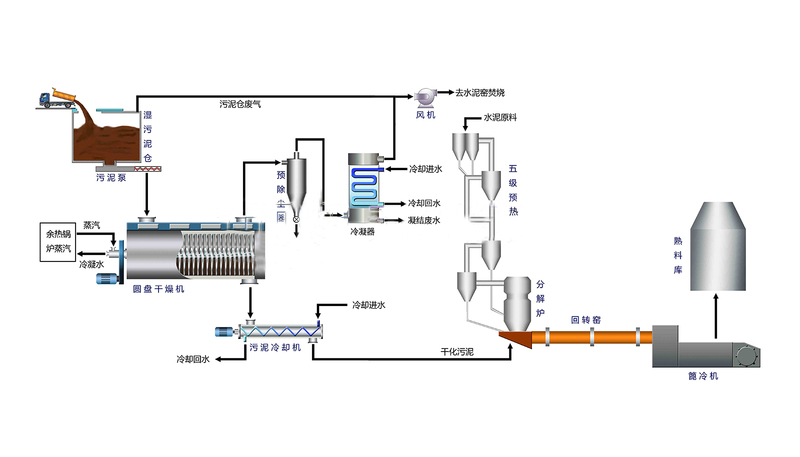 Please refer to flow chart I for Guangzhou sludge disposal project whose daily output is 600t. based on making use of exhaust air and residual heat of cement kiln, this project focuses on researching on cement kiln disposal technology aiming at the production feature of cement kiln system. 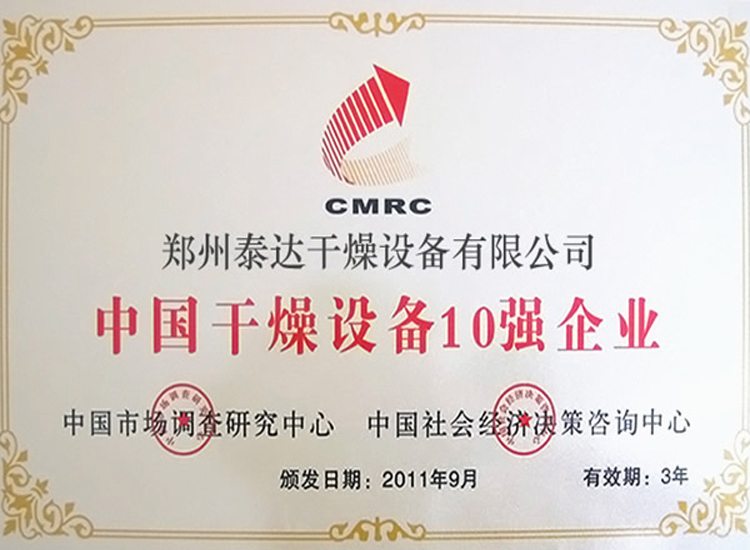 By researching on core technology and renovating the system, this practical technology has been applied to cement plant, which promotes the development of wastes disposal in cement industry. Innovative points are shown in following: there is a connection arrangement between dry sludge and cement kiln. The normal production of cement kiln will not be affected in the process of construction and operation. This project adopts cyclone spray direct contact drying technology by using exhaust air and residual heat, which greatly improves thermal efficiency and drying capacity. Large-scale disposal of sludge can be achieved.